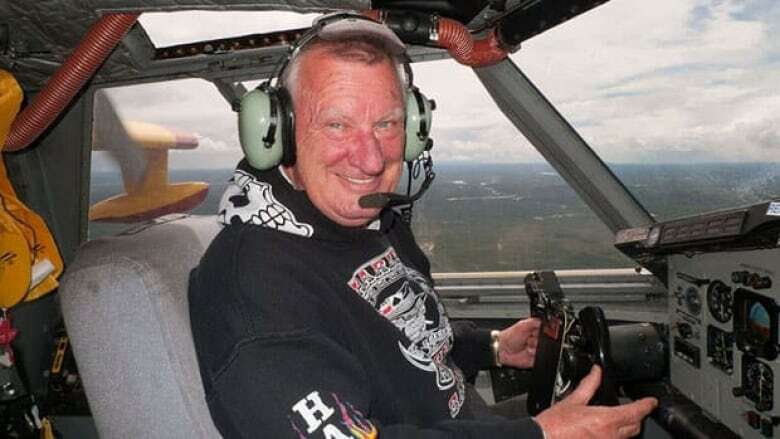 About 200 people attended a memorial service Saturday for former Buffalo Airways pilot Arnie Schreder in Yellowknife. About 200 people attended a memorial service for former Buffalo Airways pilot Arnie Schreder Saturday in Yellowknife. Schreder, 69, died of lung cancer May 5 in British Columbia. A service was also held Thursday in B.C. His family flew to Yellowknife on Friday with his ashes. His daughter, Yvette Schreder, said her father's final wish was to fly back North. "After spending 40 years here, it was his home still, I suppose, even though he didn't want to be here anymore because of the cold," she said. "But he wanted to come home and we wanted to do that the best way we could and this was it. This is dad's final flight coming home." On arrival at the airport, fire trucks showered the DC3 with an arch of water as it approached the Buffalo Airways hangar. 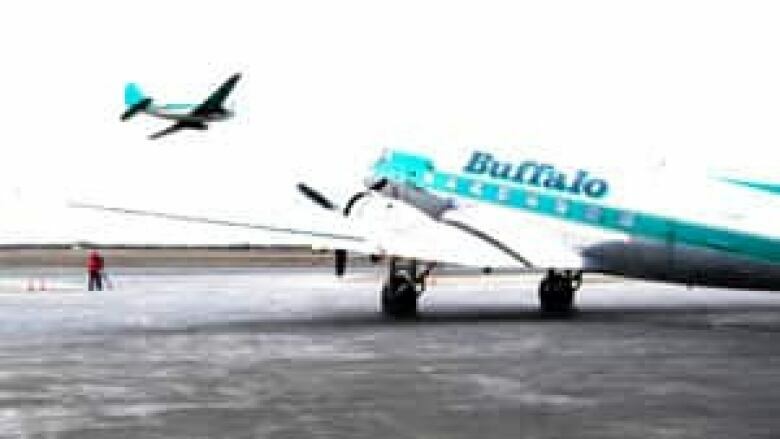 "When a pilot retires, it’s a tradition to have two fire trucks make an arch and have the plane taxi through on its last flight coming in," said Mikey McBryan, general manager of Buffalo Airways. "It's a tradition. Sometimes it’s a happy one, or a sad one, like today." For 40 years, Schreder worked and lived in the North and mentored younger pilots. He retired from Buffalo Airways in 2010. He's remembered by many for his appearances in the television show Ice Pilots NWT.